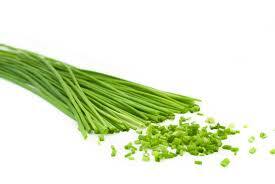 Chives are a close relative to onion, garlic, leeks and scallions. Of these, chives have the most delicate flavour. Chives are a member of the onion family and can grow wild in Europe, Asia and North America. They have been harvested from the wild for many millenniums though are thought to begin cultivation in the middle ages. The pink flowers can be eaten and can be divided into florets and sprinkled across food. The bulbs of chives have a delicate onion like flavour with a hint of garlic.